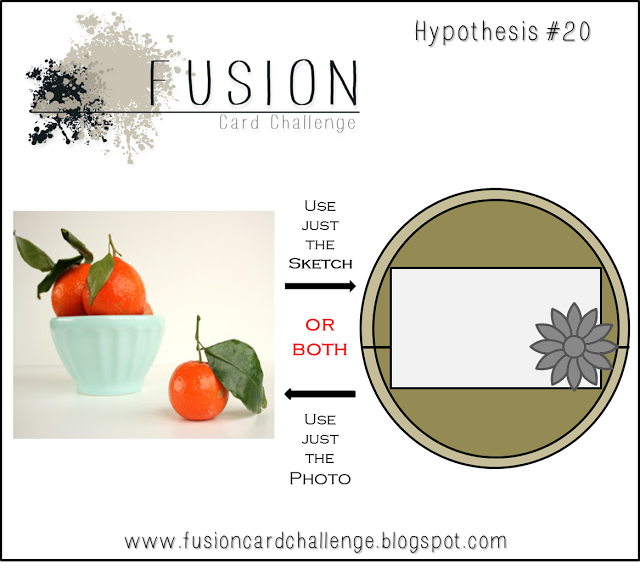 Here’s a sweet design for the current Fusion challenge. I combined elements from the sketch with elements from the inspiration photo to put this card together. I represented the orange from the inspiration photo with the pumpkin image from Reverse Confetti’s Forever Fall set. It’s cut out and adhered to a white paper doily with a piece of green woodgrain patterned paper at the center. The round doily with the panels on top is my take on the circular shape of the sketch. 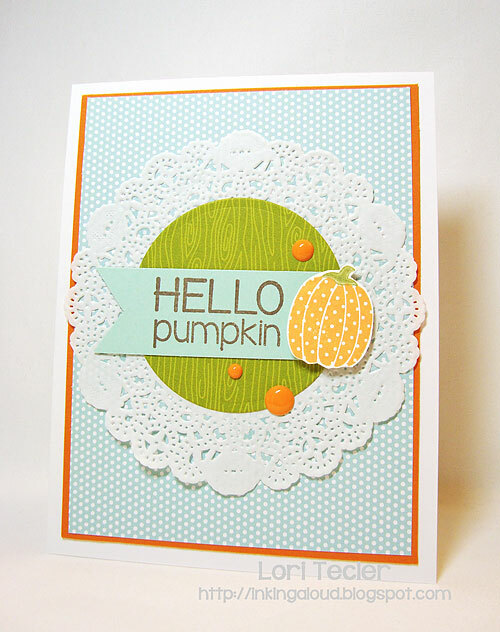 I stamped the “hello pumpkin” sentiment in brown ink on an aqua notch-ended strip and tucked it underneath the pumpkin image. 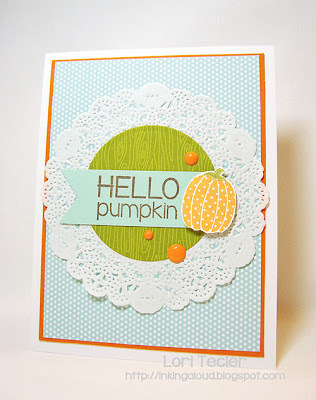 A few orange enamel dots scattered around add a little shine and dimension to the design. I layered the doily on a piece of light blue dotted paper to bring in more of the pretty blue from the inspiration photo. After matting the patterned paper on an orange panel, I adhered it to a crisp white card base. LOVE what you've created with our FUSION inspiration, Lori! The colors look so pretty and fresh! (and the polka pumpkin is too sweet!) So glad you could join us!! !